My favorite skating dress of all time. Nancy Kerrigan, Lillehammer, 1994. Photo by Chris Cole. Both of Nancy’s dresses that year were by Vera Wang, who did an outstanding job designing for her. Nancy won the silver medal at the Lillehammer Olympics. I feel like skating dresses reflect their time and the fashions of the day, to some degree, though there can be wide differences in looks depending on the skater’s personal style, country of origin, and the music she is skating to. As for the Sochi games, I have seen a few dresses I’ve liked but my favorite so far has been the red and gray dress worn by 15-year-old Russian skater Yulia Lipnitskaya. I give high marks to the red and gray dress she wore for the long program in the team event. 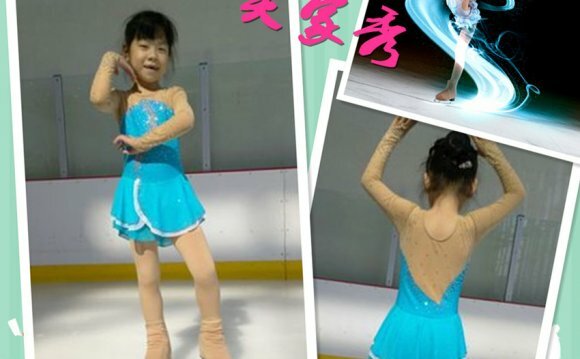 She skated to John Williams’ score for the movie Schindler’s List and gave a heart-stopping performance. Yulia Lipnitskaya. Photo by Clive Mason/Getty Images Europe. This dress combines tailoring with softness. Perfection! Photo by Matthew Stockman/Getty Images Europe. I loved everything about the dress she wore, from the color, to the combination of tailored bodice and chiffon skirt with its thin edge of beading, the very subtle use of sequins, and the sheer gloves. Have a look at this dress and this girl because by the night of February 20, 2014, when the ladies skate their long programs, Yulia could very well become the ladies’ Olympic champion. It will be well-deserved! Do you recall any standout dresses on women, American or not, who competed in the Olympic figure skating ladies’ singles championship?